Covered in some serious grunge and dust. Here it is after I’d started a few touch-ups with white paint. You can see some splashes of what appears to be haphazard paint and nail polish applications here and there…perhaps a little “sprucing up” courtesy of it’s former child owners? 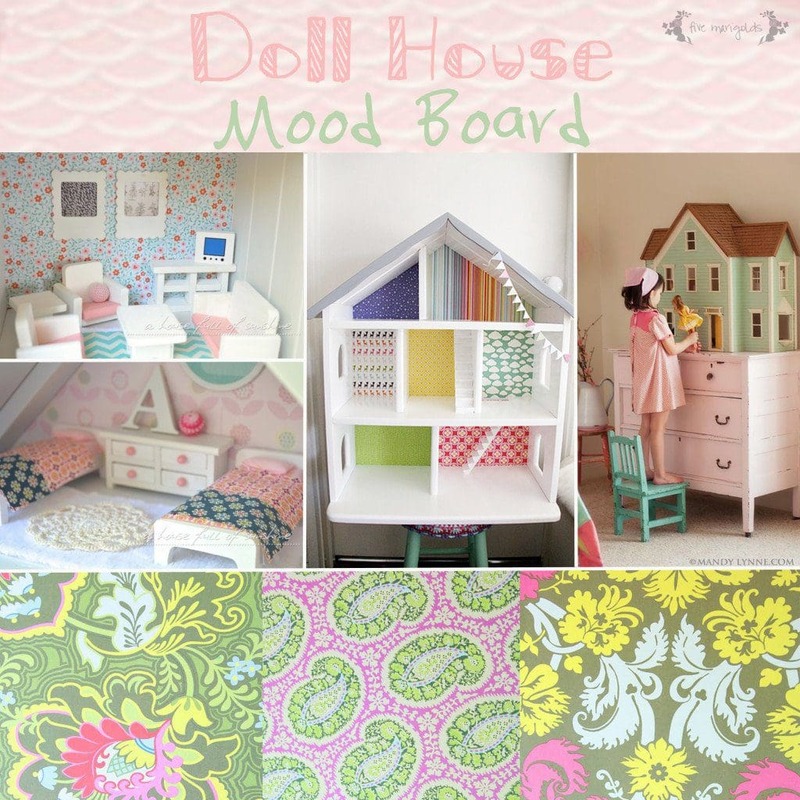 I have big plans for this little doll house, but I’ve put some strict parameters on myself. 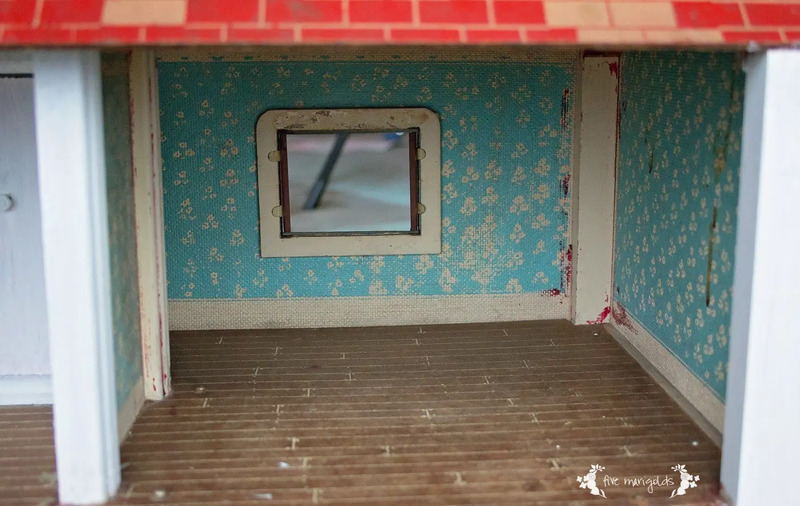 In order to make this project worthwhile at all, I want to spend less than $50 total to update and furnish it – the price point at which I figure I might as well have bought a new doll house, despite whatever charm we might argue comes from a solid-built vintage doll house. That means I plan to use a lot of creativity and resources I have on hand. 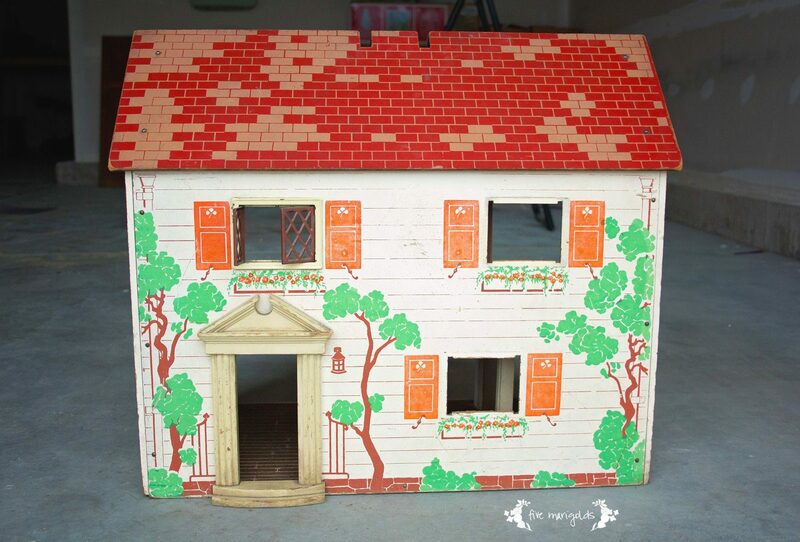 I’m realistic – this isn’t going to be a show piece, but I hope it’s an adorable and sturdy play house that my 2 and 5 year olds will enjoy playing with. Sources (clockwise, from top left): Practically Functional, Paracosm, Mandy Lynne, Amy Butler paper. how funny! 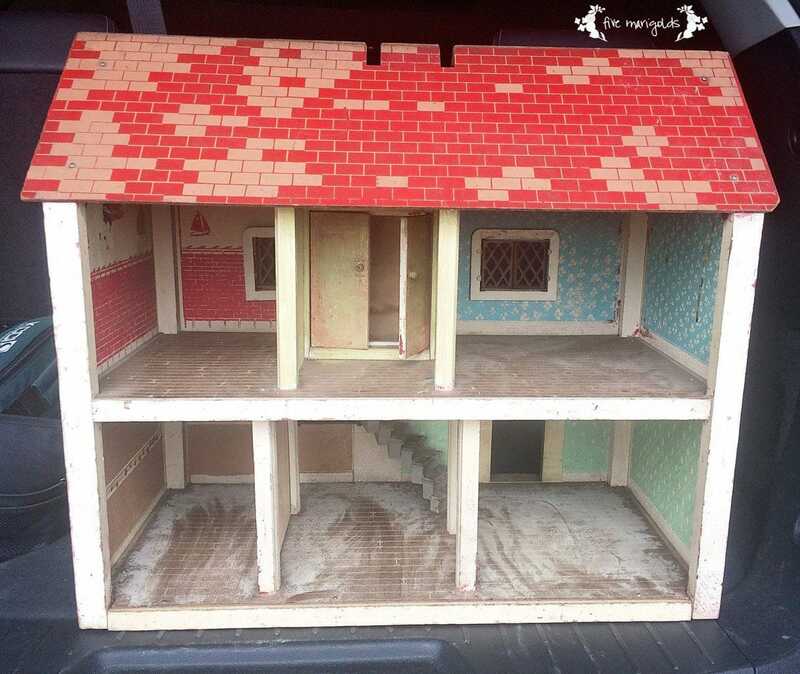 we found a doll house (not vintage and not completed) at the thrift store the other day and brought it home too. 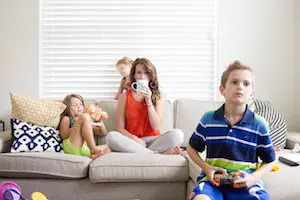 I see a flaw though in our plans – we did not set a budget! Thanks for the tips and I can’t wait to see how you redo yours! What a cute find! I can’t wait to see the final product! This is so cool. My heart skipped a beat when I saw this. Thank you for doing this. I’m going to follow along as you renovate. The little girl in me loves this! 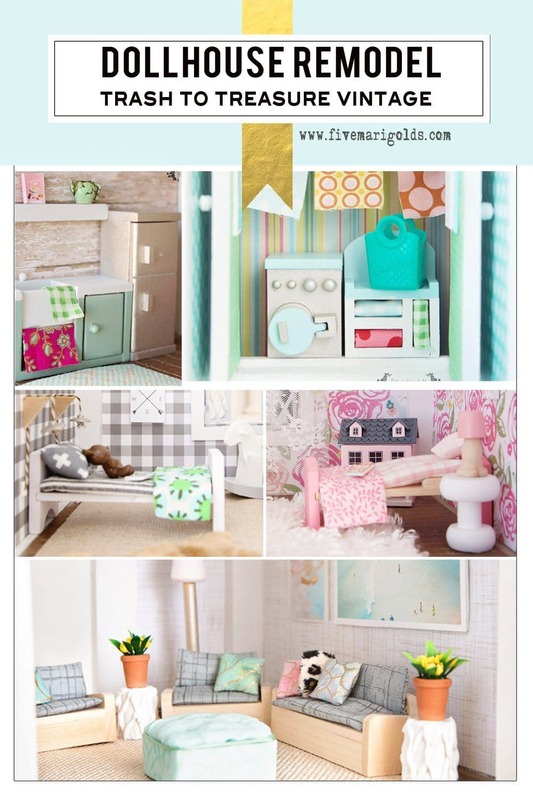 I love all of your posts pertaining to this doll house! You are doing a fantastic job! The photos show your creativity and the love you are putting into this fixer upper! Definitely brought a smile to my face this morning. Aw, thank you so much for taking the time to share those kind words! 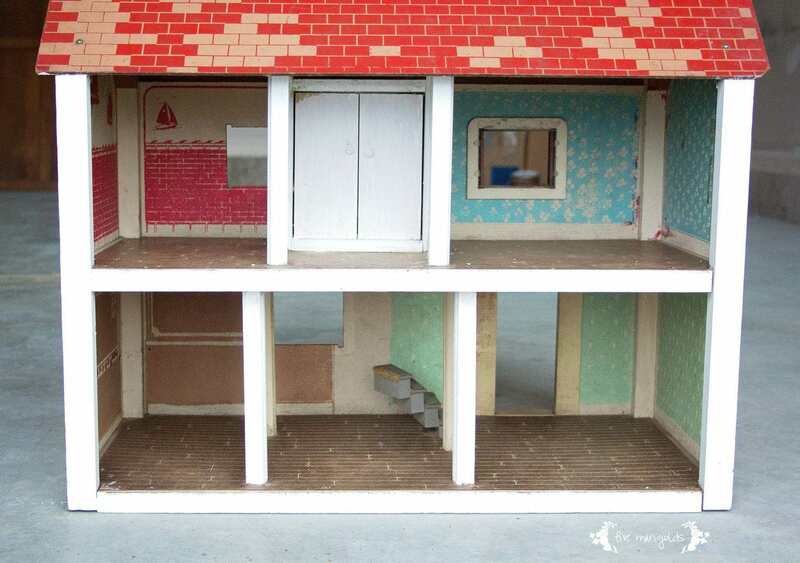 I have a doll house exactly like this one. It was given to my granddaughter and then given to me to make it GREAT!!!! So glad I found this. You are great inspiration. 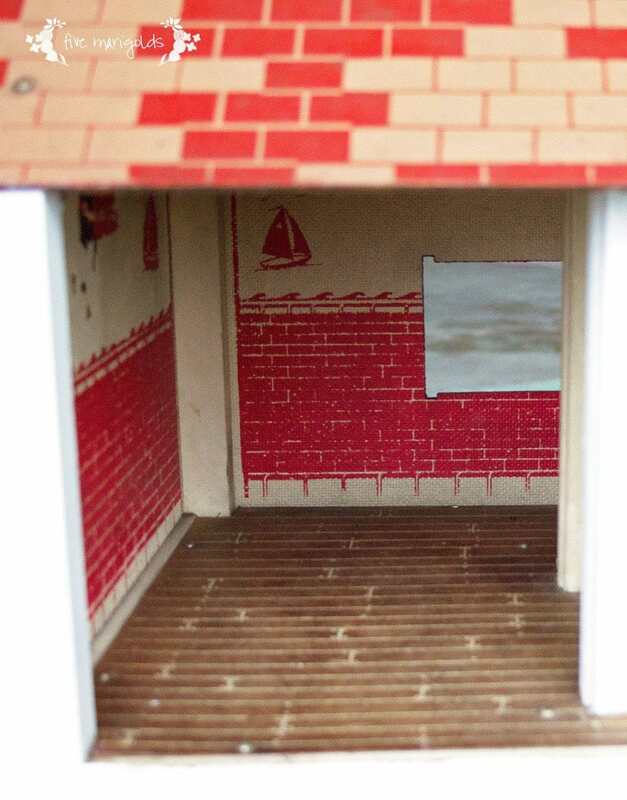 I have already painted the exterior. The roof needs repairs, so I plan on laying a new one. I have no budget. I am having fun picking out new furniture and carpet. Thanks for your post. Oh I hope you come back and share your results! So fun!